Q: Can you create a responsive website design for PRS? 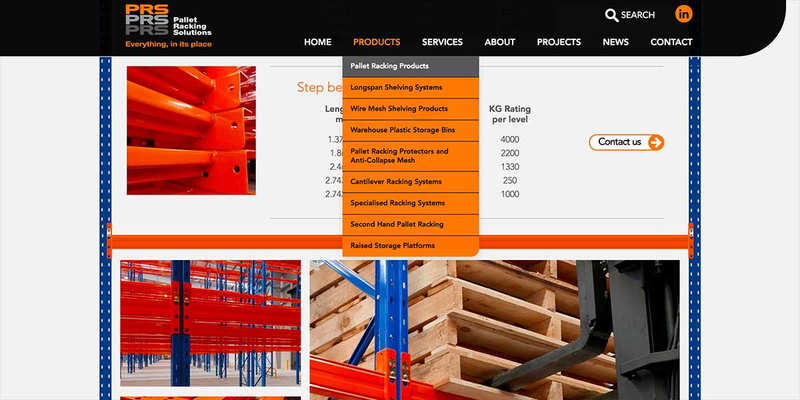 Our new responsive website design has launched today for Pallet Racking Solutions. 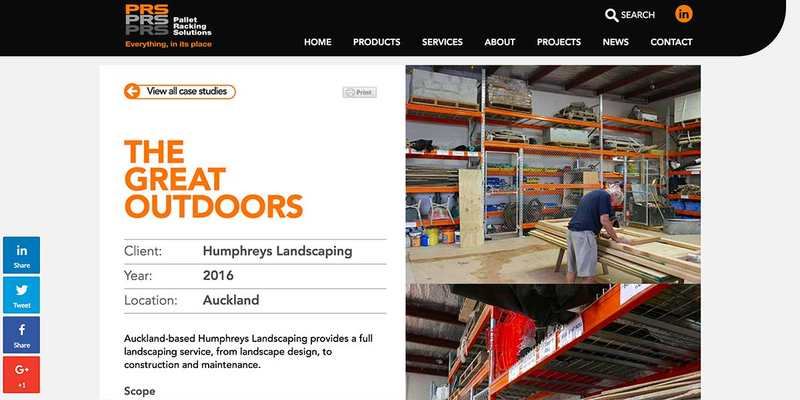 PRS design, supply and install top quality pallet racking and warehouse storage solutions, New Zealand wide. Responsive website design is a critical factor in creating a Google friendly website. Responsive website design is the practice of building a website so that the page content responds to the user’s behaviour and environment based on screen size, platform and orientation. In other words, the website is coded so that pages and their content automatically respond and adjust to being viewed on different screens and devices – anything from a large desktop computer screen, to a smartphone. This is a very handy feature that presents your website at its best in all situations. The website user avoids having to squint at tiny website content on small screens and ’pinch to zoom’ to make it legible. Why responsive website design for PRS? Simple. Mobile browsing statistics are very high (50% or more in some cases). Google’s search algorithm now demands that websites must be mobile-friendly and are rewarded for it in search rankings. Conversely, non-responsive websites are penalised, directly affecting their search rankings, which makes them harder to find online. To deliver the project from start to finish, the Angle team consisting of: Creative Director, Digital Strategist, Web Developer (Quadramedia), Illustrator and SEO consultant, collaborated with type b. We discussed the brief with the client and produced multiple versions of the site map before designing any concept page layouts. Initial concepts were presented by Angle’s Creative Director and type b, and then refined after client feedback. Finally, all the necessary page templates were designed in full for approval before any development started. 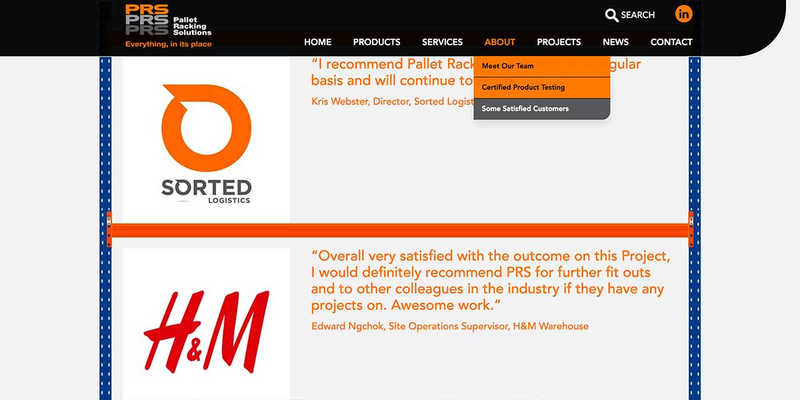 During the development stage, links to the site were given to Pallet Racking Solutions to check in on progress, while all the SEO friendly text content was being taken care of by type b. The website graphics and photography were dealt with by our Illustrator and Creative Director. 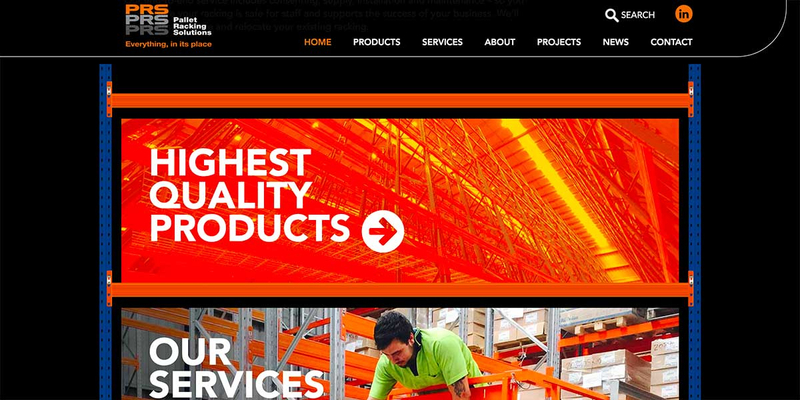 As you would expect from an expert storage solution provider like Pallet Racking Solutions, everything is in its place on this custom built website. Having recently re-branded PRS, Angle and type b defined the statement, ‘Everything, in its place’ to express PRS’s core offer. 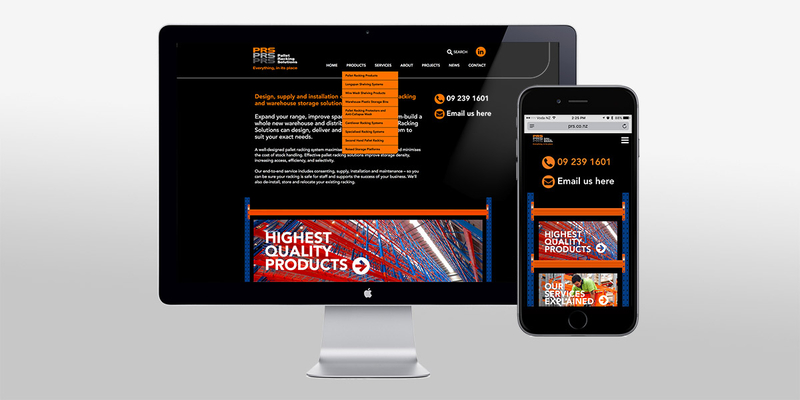 Our understanding of the PRS brand, what sets them apart and what makes them tick, allowed us to design a website that clearly communicates their brand, their offer, their products and services and their point of difference. Use of the black, orange, grey and white colour palette is distinctive and visually strong. 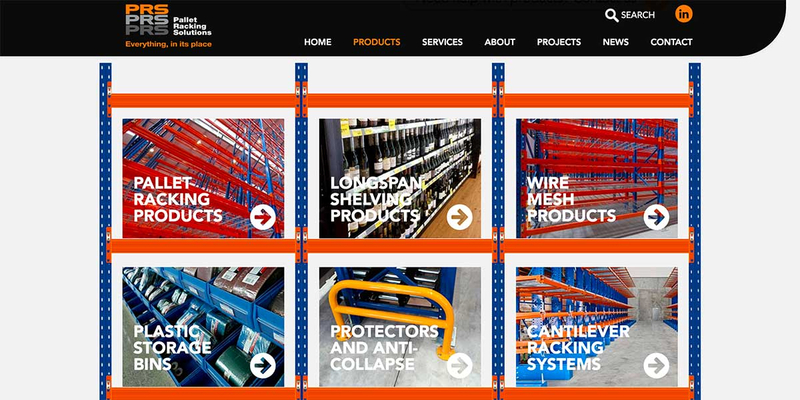 The centre piece of the website is the realistic pallet racking graphic – a system of blue vertical frames and horizontal orange beams that create ‘shelving space’ for content. Not only does this say ‘Everything, in its place’, but it shows off the PRS core product at the same time as the product benefits (a tidy, ordered environment). 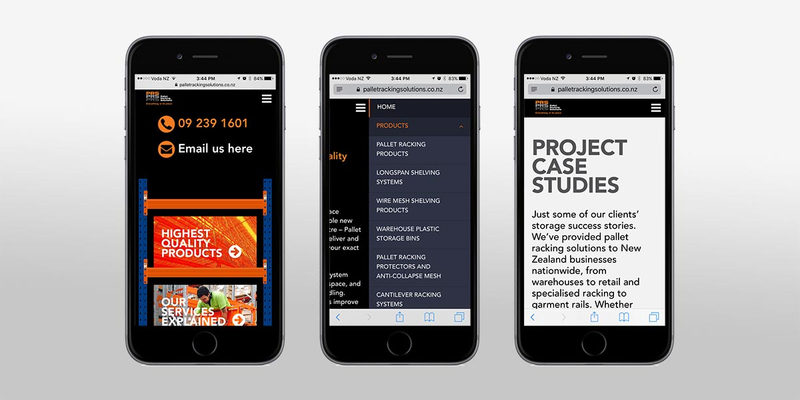 Responsive development means that the pallet racking graphic scales and re-arranges itself automatically across different screen sizes. A subtle demonstration of how flexible the pallet racking components are in real life. Another feature that helps to set PRS apart from their competitors is the inclusion of a specially commissioned 360° tour of one of their recent installations in Christchurch, New Zealand. Nine high quality photographic panoramas are stitched together to form a seamless 360° tour, which can be viewed full screen or in VR mode. 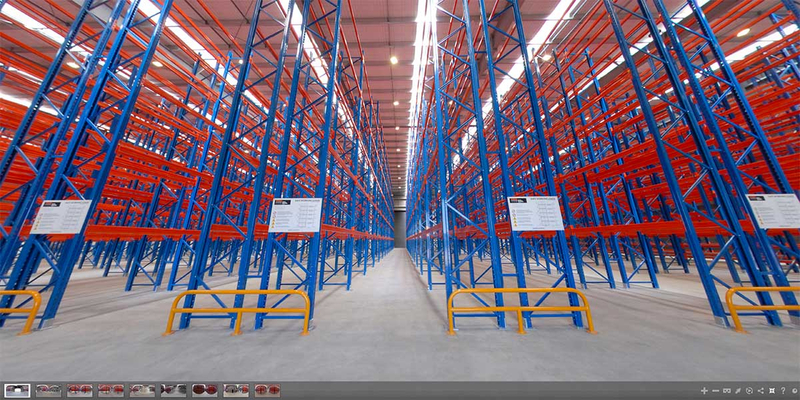 The tour allows users to ‘walk through’ a large, earthquake safe pallet racking installation. 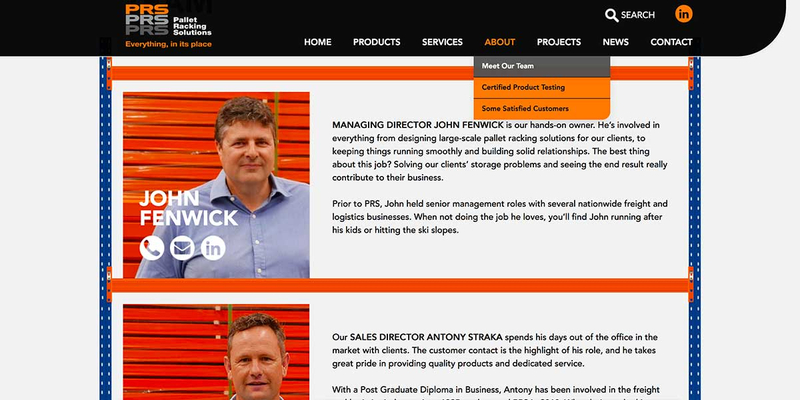 Detailed products and services content is supported by PRS team profiles and client testimonials. Dynamic project case studies and PRS news content is easily shared socially with a smart plugin that keeps social icons centre screen when scrolling. Pallet Racking solutions are in a competitive sector. Their Google search rankings and the number of leads they receive weekly are vital to their business. As an interim measure, Angle had previously designed and built a temporary, one page website for PRS. Employing the expertise of a SEO consultant proved invaluable during the development of the new PRS website and in managing the transition from the temporary website to the new website.